In Jesus, Keep Me Near the Cross, editor Nancy Guthrie draws from works and sermons of twenty-five classic theologians and contemporaries to bring you and your family into an experience of the passion of Christ. Combining the victory of Christ's sacrifice on the cross and Scripture, she draws you to the cross throughout the Easter season and beyond. Paperback. 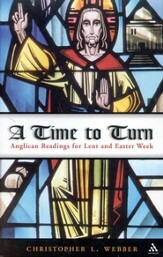 Easter readings that encourage thoughtful contemplation of the cross and deepen people's experience of the resurrection, collected from the writings and sermons of 25 classic and contemporary theologians and Bible teachers. John Owen (16161683) was vice chancellor of Oxford University and served as advisor and chaplain to Oliver Cromwell. Among the most learned and active of the Puritans in seventeenth-century Europe, and known as the "theologian's theologian," he was accomplished both in doctrine and practical theology. STEPHEN F. OLFORD is both founder of and senior lecturer at the Stephen Olford Center for Biblical Preaching in Memphis, Tennessee. Formerly the minister of New York City's famed Calvary Baptist Church, he has authored numerous books and is a regular contributor to leading Christian periodicals on both sides of the Atlantic. Skip Ryan is Senior Minister of Park Cities Presbyterian Church in Dallas and has served as Moderator of the General Assembly of the Presbyterian Church in America. Skip is also an instructor for the Japanese Institute for Church Growth in Tokyo. He is a graduate of Harvard University and Westminster Theological Seminary. Martin Luther (14831546) was professor of Bible at Wittenberg University, and many of his expositions came out of his classroom. Considered one of the most powerful discussions of justification by faith written by any of the Reformers, this commentary on Galatians has had a profound impact on many through the centuries. Philip Graham Ryken (DPhil, University of Oxford) is the eighth president of Wheaton College. He preached at Philadelphias Tenth Presbyterian Church from 1995 until his appointment at Wheaton in 2010. Ryken has published more than 50 books, including When Trouble Comes and expository commentaries on Exodus, Ecclesiastes, and Jeremiah. He serves as a board member for the Council of Christian Colleges and Universities, the Lausanne Movement, and the National Association of Evangelicals. Charles H. Spurgeon (18341892) was an English Baptist pastor at New Park Street Chapel, London (which later became the Metropolitan Tabernacle), for thirty-eight years. As the nineteenth century's most prolific preacher and writer, his ministry legacy continues today. JOHN CALVIN (15091564) was perhaps the preeminent theologian of the Reformation. Known best for his Institutes of the Christian Religion, he also wrote landmark expositions on most of the books in the Bible. Francis A. Schaeffer (19121984) authored more than twenty books, which have been translated into a score of languages and sold millions worldwide. He and his wife, Edith, founded L'Abri Fellowship international study and discipleship centers. Recognized internationally for his work in Christianity and culture, Schaeffer passed away in 1984 but his influence and legacy continue worldwide. J. C. RYLE (18161900) was a prominent writer, preacher, and Anglican clergyman in nineteenth-century Britain. He is the author of the classic Expository Thoughts on the Gospels and retired as the bishop of Liverpool. R. C. Sproul (19392017) was founder of Ligonier Ministries, an international Christian discipleship organization located near Orlando, Florida. He was also founding pastor of Saint Andrews Chapel in Sanford, Florida, first president of Reformation Bible College, and executive editor of Tabletalk magazine. His radio program, Renewing Your Mind, is still broadcast daily on hundreds of radio stations around the world and can also be heard online. Sproul contributed dozens of articles to national evangelical publications, spoke at conferences, churches, colleges, and seminaries around the world, and wrote more than one hundred books, including The Holiness of God, Chosen by God, and Everyones a Theologian. He also served as general editor of the Reformation Study Bible. 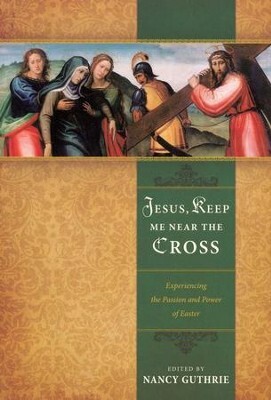 Jesus, Keep Me Near the Cross is an anthology edited by Nancy Guthrie that consists of 25 excerpts of studies and sermons by theologians and leading contemporary communicators on the Passion of Christ through the Resurrection. At 148 pages, each chapter is approximately six pages. Different Bible versions are referenced in the passages and each original source is noted at the end of each chapter for further study. The first few chapters contain theologically heavy material. It starts, for example, with True Contemplation of the Cross by Martin Luther. (Later chapters are easier to understand.) Reading this first excerpt may discourage someone from reading further, but if a person is searching for in-depth insight on this subject as presented in short segments, then this book is worthwhile. Admittedly, some opinions or biblical interpretations may differ from what a person has been taught previously or studied personally. Jesus Keep Me Near the Cross is organized by events of the passion through the resurrection, but each chapter can be separated and studied on its own. Each essay starts with its own Scripture quote. Each author has a little bit different focus or perspective on the same subject, as each takes Scripture and interprets it within context. I like that it is convenient to read one short essay in one session and that it has several blank pages at the end for note taking. This is a book to be re-read and pondered. It invites interaction. 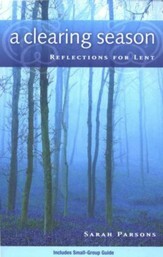 It is a reference book that would lend itself to a Bible study group. As I read it, it felt like it was a spiritual workout, focusing on different aspects of the events, showcasing some and ignoring others, and discussing/interpreting different Scripture passage accounts. Each chapter challenges the readers beliefs, depending on ones religious background. I have to be honest  I initially did not want to read this book. I thought it would be dry with a lot of heavy analysis. And, yes, some of it is; however, taken as a whole, it is a good book to have on hand for reflection. Nancy Guthrie has a passion for sharing God's Word through her growing national and international Bible-teaching ministry. She has worked in the Christian publishing industry for more than two decades and is the author of Holding on to Hope, The One-Year Book of Hope, and Hoping for Something Better. Editor Nancy Guthrie encourages readers to move beyond simply inspirational thoughts of the Lenten season that so often prevail in the well-intended rush from Palm Sunday to Easter Sunday. Jesus, Keep Me Near the Cross intends to focus thoughts and prepare hearts to enter into the suffering and victory of Jesus on the cross and through the resurrection. Jesus, Keep Me Near the Cross is an anthology of Lenten readings collected from the works and sermons of 25 trusted teachers. This collection draws from classic theologians such as Luther, Owens, and Edwards and from leading contemporary communicators such as John Piper, Tim Keller, and J.I. Packer to help readers enter into the wonder of Jesus sacrifice and the power of his resurrection. 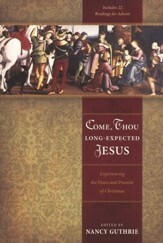 Guthrie integrates the best pieces by authors and pastors who hold a high view of Scripture and who expound on aspects of the Easter story using appropriate passages. 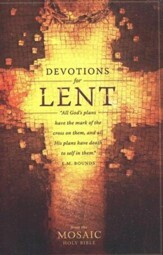 Through this compilation, Guthrie aims to provide a collection of solid Scripture readings that will challenge the mind, shape the theology, and change the heart in hopes that readers may linger at the cross during the Lenten season and stay near it throughout the year. Jesus, Keep Me Near the Cross is sure to awaken your heart to a rich and profound experience of the sacrifice and resurrection of Jesus Christ every year. Enter into Christ's Passion and experience the power of his resurrection all year long! Pairing Scripture with the works of classic and modern theologians and teachers, Guthrie's anthology is rich with spiritual wisdom. Open your heart to the wonder of Christ's sacrifice as you read the words of Augustine, Joni Eareckson Tada, John MacArthur, and others. I'm the author/artist and I want to review Jesus, Keep Me Near the Cross: Experiencing the Passion and Power of Easter.